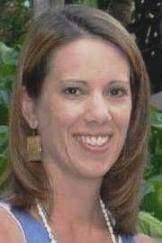 ZUMBROTA, Minn. — On Saturday, March 30, 2019, Sarah (Briggs) Stelzner, 40, of Zumbrota passed away peacefully at home surrounded by her family, after a courageous battle with Ovarian Cancer. Sarah was born May 8, 1978, in Pittsfield, Mass., to Robert and Mary Susan Briggs. She married Michael Stelzner June 5, 1999, and together they adopted two sons, Bryan (11) and Eli (6). Sarah was a graduate of Menomonie High School in Menomonie (1996), Winona State University (2000) and the University of St. Thomas/College of St. Catherine (2002), in which she obtained both her undergraduate and graduate degrees in social work. Sarah was a Licensed Independent Clinical Social Worker and DBT-Linehan Board of Certification, Certified Clinician. Sarah’s professional career led her to become the founder and director of Highland Meadows Counseling Center, Inc., of Rochester, Minn. Sarah’s passion for helping others was truly exemplified in her professional career and extensive volunteer work in the field of mental health treatment. Sarah enjoyed serving in a variety of volunteer capacities, but her most cherished role was a youth basketball coach. Sarah took great pride in helping youth build their skills and self-esteem. Sarah is survived her husband, Michael Stelzner; and sons, Bryan and Eli, of Zumbrota; her grandparents, Warren (Anne) Thompson of Winchester, Va.; her parents, Robert and Mary Susan Briggs of Farmington, Minn.; her sister, Susan (Andrew) Bartlett; and nieces, Makayla, Ava and Emilee of Kansas City, Mo. ; along with uncles, aunts and cousins. In addition, her Stelzner family, Randy and Carol Stelzner of Riverton, Wyo., Bob and Jo Schlosser of Anchorage, Alaska, Jeff (Heidi) Stelzner, Rob (Allison) Hanson, Sara (Isaiah) Henni, Kimee (Matt) Snyder, Becky (Eric) Clay, Daniel (Kara) Stelzner and Stephanie Stelzner; along with her 15 nieces and nephews. A celebration of her life service, will be held at 10 a.m. April 20, at Marion Church of Christ, 4051 50th Ave. SE, Rochester, Minn., 55904. Immediately following the service will be a reception. At Sarah’s request, in lieu of flowers, please consider making a direct donation to either: The Bryan and Eli Stelzner Trust, Bank of Zumbrota, 1440 S. Main St., Zumbrota, Minn., 55992; The Sarah Stelzner Memorial DBT-LBC Clinician Certification Scholarship Fund https://linehaninstitute.org/donate/certification/.